Just wanted to share a few swatches of some polishes that I've been behind on swatching & posting -- forgive me! :( These were sent over to me by Tony over from Cacee and Cindy over at Shimmer Polish. 2 coats of Daydream Aura -- it's a little less sky blue irl, but it's shimmery prettiness. A blurry shot of glittery goodness. 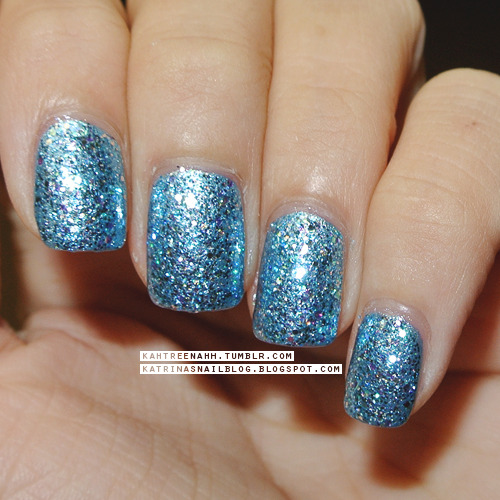 Pretty nail polish combo! The main blue base color looks very sweet!! Thanks for the fabulous nail blog. We love your stuff!